If that’s all set then it’s quite an easy process. Simply go to your inventory list, click on an item name that you want to transfer. On that following screen you’ll see a “Transfer Stock” button in the top toolbar. 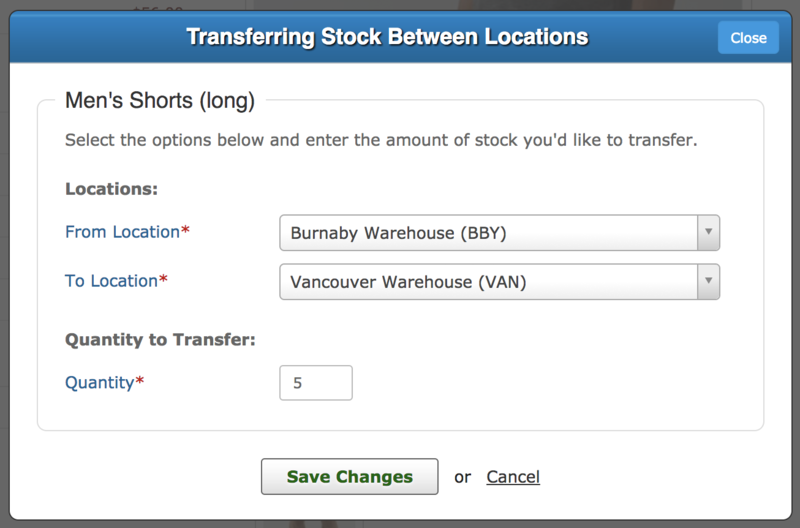 Clicking on that will enable you to specify the quantity you’re wanting to transfer. Once you complete that, it will adjust the stock accordingly and make a note of your actions in the Activity Feed.